I’m terrible with TBRs, but that does not keep me from making them! Lists and organization is my jam, but it’s the follow-through that I need work on. For one, I’m a BIIIIIG mood reader, and that throws everything into chaos when I try to make a plan on what I’m going to read in the next week, or even the next month! It’s not for lack of trying! 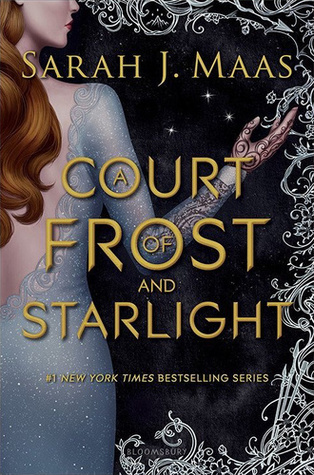 A COURT OF FROST AND STARLIGHT BY SARAH J. MAAS • Prepare thyself for an onslaught of Maas books that I haven’t finished yet! And ACoFaS is the first one I want to delve into. I’ve seen people have mixed feelings on this book? So not sure what to expect? We’ll see? GUYS, I’m definitely going to get this one read, maaaaybe before 2019 is here. Wish me luck. Send coffee. TOWER OF DAWN BY SARAH J. MAAS • Maas book #2! Since I can’t go NOWHERE without seeing that someone has reviewed/loved/hated Kingdom of Ash, this needs to be read immediately! I don’t know why I’ve been putting this off for so long? One of my best friends was even so kind as to gift this to me, and I feel rotten for not even opening it up yet! Maybe some part of me just does not want this story to end, and so I am draaaaagginggggg my feet horribly. 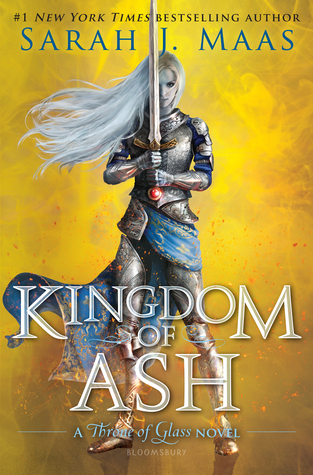 KINGDOM OF ASH BY SARAH J. MAAS • Oh god, this book is almost a thousand pages? Well, I should just stop my TBR here then. 😳 Do you know how long it will take me to finish a book this massive??? 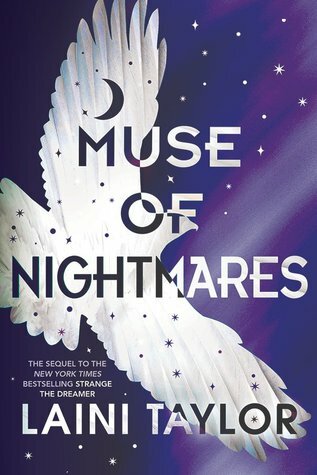 MUSE OF NIGHTMARES BY LAINI TAYLOR • YES. LAZLO! SARAI! MY BABIES. I loved Strange the Dreamer so freaking much, and I try to make everyone read it. The end of the book made me want to scream because it was over. I was almost in tears. Laini Taylor is a total auto-buy author for me. She gave me amazing series like this one, and Daughter of Smoke and Bone. I just love her writing and world-building and cast of superb characters! 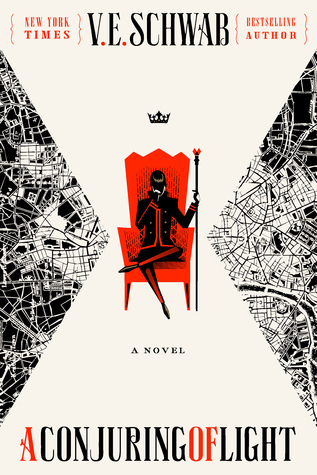 A CONJURING OF LIGHT BY V. E. SCHWAB • So, confession: I started this book sometime at the beginning of 2018. I loved the other two books in the series, and even liked this one, but… at the beginning of this year, I was pregnant, and had so much more on my mind than reading. What a CRIME, amirite? No matter what I did, I couldn’t get into the book too much. Baby stuff filled my every thought. So a goal of mine is to either a) start this books over, or b) try to pick up where I left off, which was somewhere in the middle-ish, maybe? Heh. I can’t even remember what was happening in the book when I stopped, tbh. 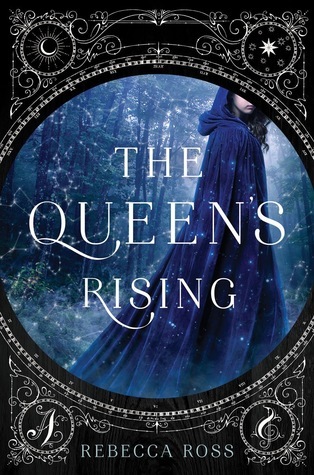 THE QUEEN’S RISING BY REBECCA ROSS • I’ve had my eye on this book ever since it was published earlier this year, but I just recently bought myself a copy on Cyber Monday! Woo! I hope it doesn’t let me down. I’ve seen reviews all over the spectrum, so we’ll see. 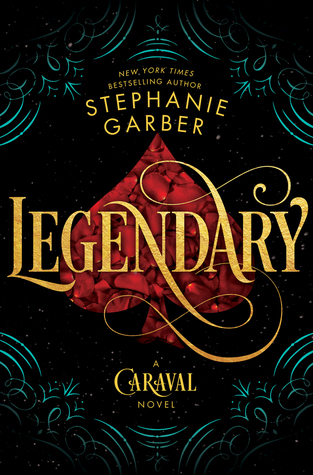 LEGENDARY BY STEPHANIE GARBER • I read Caraval last year and was impressed, and basically I just need to read the next book because I NEED to know what happens. Wow, guys. That’s a lot of books to read. Do you know how many pages total this is? Let me enlighten you: 5,162 pages! I’m intimidated. Do you make (and keep) TBR lists? What is your secret to achieving them??? Or do you struggle like I do, because I’m a fickle mood reader? Have you read any of my choices for this week’s TTT? What’s on your list? Previous Post: « Blog Digest/6: Mid-December Freakout! 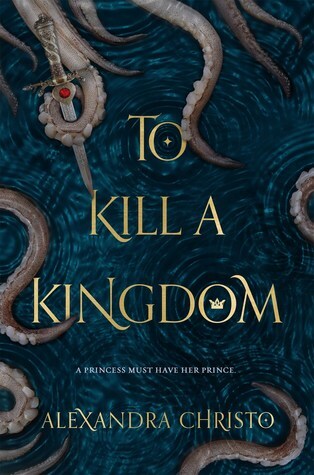 A Curse So Dark and Lonely, Kingdom of Ash & To Kill A Kingdom were all on my list this week too! I really enjoyed both Legendary and Tower of Dawn this year, so I hope you do too and A Conjuring of Light was one of my favourite reads of last year so again, I hope you enjoy that one! I was really liking A Conjuring of Light, but I hear the end of the finale kind of destroys you. Not looking forward to that haha! 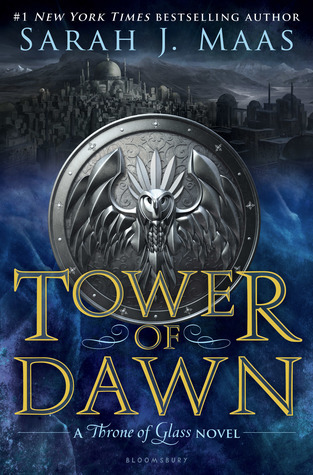 I’m excited to get back into the world of Maas with Tower of Dawn for sure! I am horrible at sticking to TBR lists too, also because I’m a mood reader. Good luck with your list. I hope you enjoy them when you find the time for them and have a great week. The Shades of Magic series is really good! I liked the second book a bit more than the first, and I, so far, remember liking the third, but as I said, I was just preoccupied with all things baby LOL! I’m so sad the Throne of Glass series is at its end! I do try to make TBR but I am not always successful at following them 😉 I have read and loved Tower of dawn, Kingdom of Ash and A Curse So Dark and Loneley! so …enjoy! AH! 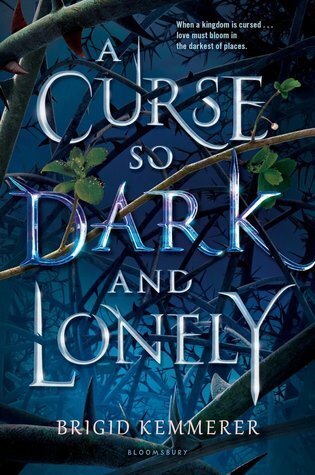 Did you like A Curse So Dark and Lonely? I’m looking forward to that one more than anything, I think! Ooh The Queen’s Rising is on my list too! It sounds so good. I know, right?!?! I’m so intimidated by it. I absolutely LOVED Muse, Curse, and TKaK! I have yet to read ACoL and I’m still behind on the ToG series, oops. 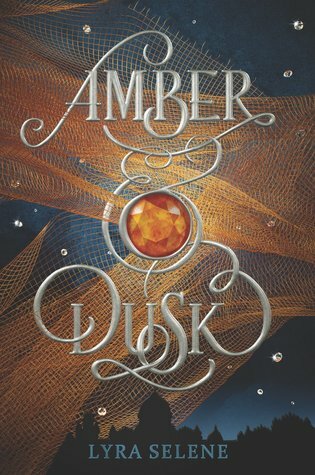 I really want to read Amber & Dusk and Queen’s Rising as well! Yay I’m so glad you liked those three! They are, like, the top 3 I want to read off of my winter TBR!